The 3am Teacher: You Don't Have to be an "Artist" to Make Beautiful Art: A Collective Art Project Linky!!! You Don't Have to be an "Artist" to Make Beautiful Art: A Collective Art Project Linky!!! I have been wanting to celebrate some huge milestones over the past few weeks, but I really wanted to do something completely different. I wanted to celebrate art, beauty, and the friendships I have made through blogging over the past two years. I can not simply celebrate my accomplishments without celebrating all of YOU!!! If you are reading this message as a visitor for the first time... this also includes YOU as well!! I continue to teach and be taught, inspire and be inspired, motivate and be motivated, through my ever growing friends/fans (there really is not a difference between the two) online! You all have continued to support me and be supported by me and I love that I can video chat with someone from Spain one day and meet a new friend right in my neighborhood the next... and without even leaving my office. This is a good thing too.. because I am a VERY BUSY woman these days!! So busy, I rarely have the time to plan something special for all of you!!! It is such a rewarding feeling to know that I can always return the support and this project is my way of doing just that, as well as to let you all know how TRULY BEAUTIFUL I believe you all are!!! I am amazed by some of the creative talent I encounter on a daily basis and I want you to join me in what will be a very beautiful project!!! I recently decided that I would NOT work on Sundays, but instead, take time for my family and time to do some things that make me happy!!! 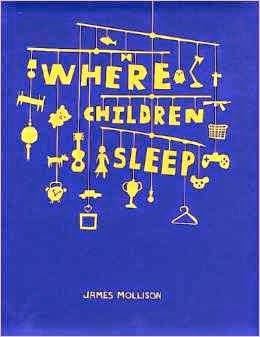 While browsing books (because books make me happy), I stumbled upon a book titled, Where Children Sleep, by James Mollison. If you haven't heard of it, I HIGHLY suggest you take a little peek. The book features a short story and pictures of children and their "bedrooms" from around the world. The images are breath-taking and the pictures will make you smile and cry at the same time. Click the image below to check out the book on Amazon and you can preview some of the stories that are featured in the book. As I continued to read through the stories and look through the book, I was overwhelmed with a fantastic idea and a great way to celebrate the milestones you all have helped me to achieve. My brain works in mysterious ways, so my project is not related to the themes in the book.. other than the fact that I want to connect with all of you through art and the beauty of expression through art. For this project, I am asking BEGGING ALL of you to participate!! I do not want to get an email or message from any of you trying to tell me that you are not an "Artist" and therefore, you can not draw "anything"! I do not care what you draw, how you draw, or whether or not you believe you can draw. All I care about is that you put forth something that is a reflection of you!! Even if you end up with stick figures on a napkin!!! ALL ART is beautiful in its own way and together, our art can be a unique story! I plan to compile the art into ONE BEAUTIFUL piece of art that tells a story about all of us. I can't say how the final piece of art will turn out because I have no idea what stories I will be weaving together until you begin to submit them!! It would mean a great deal if I could get over 1000 submissions!! That is my goal - which is now also all of your goal as well.. ha!! While the art is being compiled, and the story created, I will create a private Facebook group for participants to join. Participants in this group will get to see the progress and connect before anyone else. Once the art is compiled into one collective work of art, I will email participants and organize a BIG BLOG REVEAL & GIVEAWAY!! We will have a HUGE Blog Hop & RAFFLE!! Participants will get to join in the celebration, offer a freebie on their own blog and allow followers to travel from one blog to the next (hopefully a thousand or more...), get a chance to visit all of you, follow your blog, and enter to win a printed version of the final collective work of art. It will be so much fun and very little work!! Anyone and Everyone is welcome to participate! 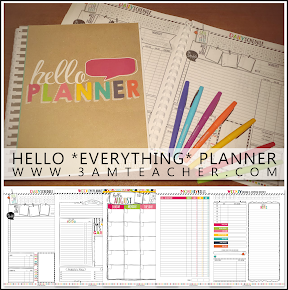 please email me if you are unsure about something you would like to submit (3amteacher@gmail.com). 3. The art must be the original art of the person completing the form, and must not be traced or copied. Work that is not original will not be added to the project. 4. Art is an expression of self and the world around us, however, please be mindful of the content or message you are submitting. Vulgar, pornographic, or offensive works of art will not be accepted for this particular project. This project is meant to uplift, empower, inspire, and connect people to one another. 5. Each person is allowed to submit only one original work of art. PNG, JPEG, PSD, EPS, and Adobe PDF. You are responsible for making sure your image is clear and easy to see. Low resolution images or images difficult to see will not be added to the project. 7. All work must include your name and the date written or typed clearly in the top left corner of your submitted work. Each piece must also include a title. The title needs to be written or typed clearly and placed ABOVE your name. You may include a separate description for your art if you choose. The description or story will be helpful in compiling the final collective project. You may submit your description as a Word document, but please include your name and the title of the art at the top of your document (just like in school). 8. Deadline to submit your art is APRIL 27th, 2014. Art submitted or received after this deadline will not be included in the project. The final project will be complied and revealed by the first week of September or sooner. Chosen participants will receive an email a week before the project reveal. The email will include directions, promotion banners, and a blog post outline to use for the reveal date. Participants will be asked to promote the banner and links on social media networks a couple days before the big reveal. The final collective work of art will include each participants name, the title of the art, and blog link. If you have included a short story or description of your art, this may also make the final collective project. Each participant will receive a digital copy of the final collective project in high resolution, along with a discount code to get the image printed professionally from Zazzle. Each participant will also receive a special thank you gift from Michelle Tsivgadellis/ The 3AM Teacher. A contest will be promoted during the week of the big reveal and entrees will be required to follow each participants' blog and/or one social media account. One contestant or entree will win a printed copy of the final project. Contestants will be required to live in the U.S. to qualify for the prize. Participants may also promote a free item or gift of their own during the blog link up and big reveal/giveaway post. I KNOW that was a TON of information, but I PROMISE, this is meant to be very simple. I know how busy we can all get, which is why I am giving everyone THREE WEEKS to submit the art!! PLEASE spread the word! Feel free to pin the banner at the top of this post or grab it to share on your own blogs or social media accounts. Make sure to link back to this post, so others can find the necessary information to sign up and submit their own art as well!! Remember, our goal is to reach 1000 submissions!!!! Please click the button below to complete the short form and submit your work of art!! I can't wait to begin the process of telling OUR story through OUR Collective Art Project!!! Thank you so much for all of the support and I hope you join me in celebrating how BEAUTIFUL I believe you all are!!! Have a Wonderful Week Everyone & thank you for stepping into my world for a bit!!! Please comment below, so I know I am not writing to myself!! I love to read your comments and thoughts!! Wow, what a huge undertaking! Such a great idea. I'm already brainstorming my ideas! Thank you so much!! I think I will have so much fun putting it altogether and seeing everyone's art!! I can't wait to see what you send in!! ooooo - I have so many ideas right now, but yet I feel like I have nothing also. HA! I'm going to get something put together. Hmmm - can I take a picture of something I have scrapbooked or made for my wedding? That's the first thing that comes to mind. Maybe I'll create some type of collage of that "art" since that's what I love to do. YEA! This is a fabulous idea!! YEAH!! And yes, photos would definitely work!! I am beyond excited!! Amazing project idea. I'd love to participate. :) My wheels are spinning already! Thank you!! I bet you will have something amazing!! Would a photo of a quilt/fabric art be acceptable? This sounds like a fantastic project!! Of COURSE!! Lynn, I love quilting & I would love to see what you did!! Hi Michelle, I have an idea, just need to get the materials together. This is a great idea. I love it!